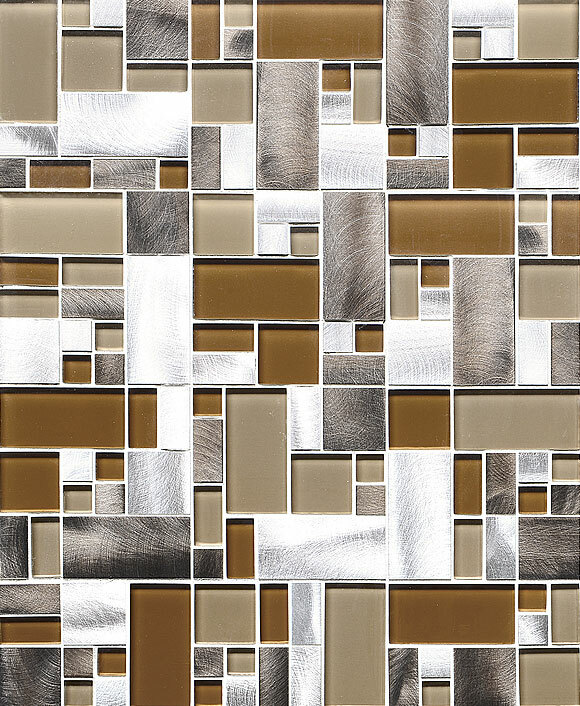 If you’re seeking a gleaming and glittering backsplash tile for your decidedly modern or contemporary kitchen update, look no further than this metal backsplash tile. 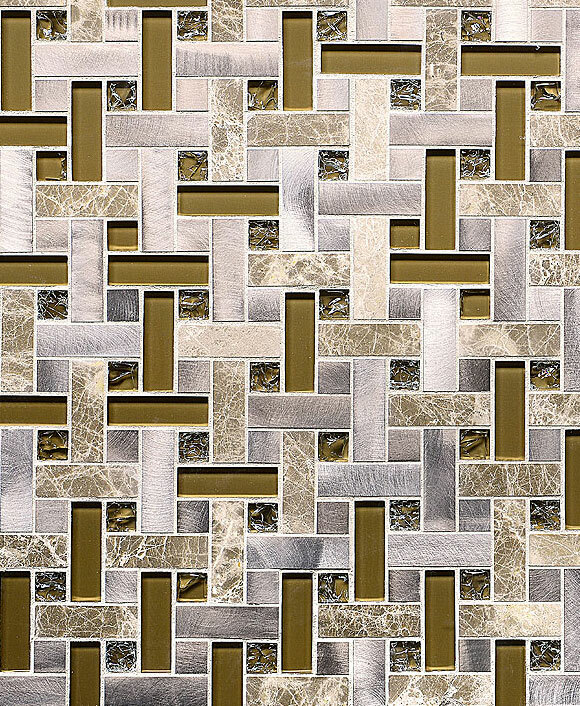 With a range of options to choose from including slick silver metal in highly polished subway tiles to more neutral mosaic squares complemented with beige glass insets, metal backsplash tile quickly becomes the star of your space. 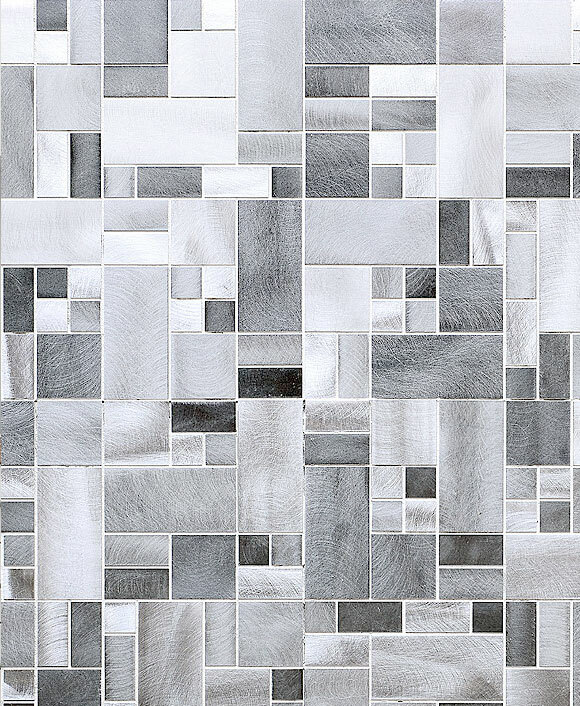 Featuring mostly clean lines, high shine, and an overall eye-catching appearance, metal mosaic tiles are ideal for modern spaces seeking plenty of movement. The light will dance off of its highly reflective surface, which could be strictly sleek or interspersed with pops of bold color and glitter glass or stone. 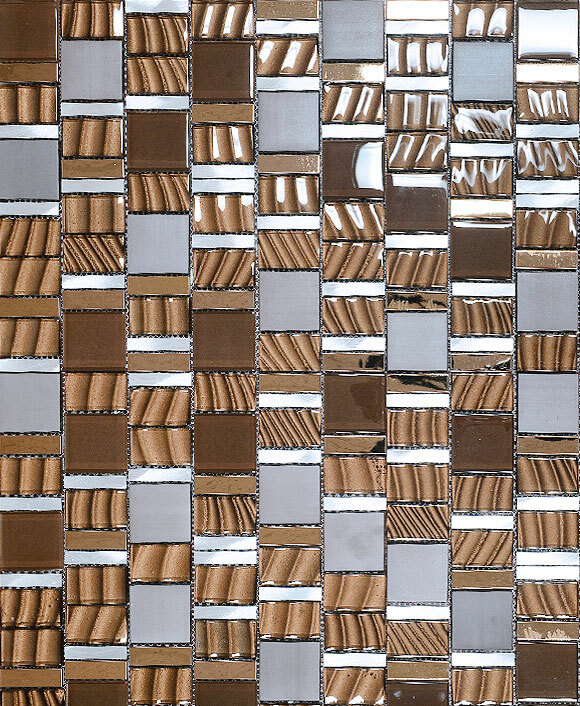 Modern kitchen spaces will fall in love quickly with the versatility of metal backsplash tile. Pair the various options with any shade of cabinets from white to brown to black for a perfectly put-together presentation. Your guests will never fail to notice the simplicity and elegance of your kitchen. One of the biggest draws for modern and contemporary design is simplicity, both in the design and in the upkeep of the products they choose. 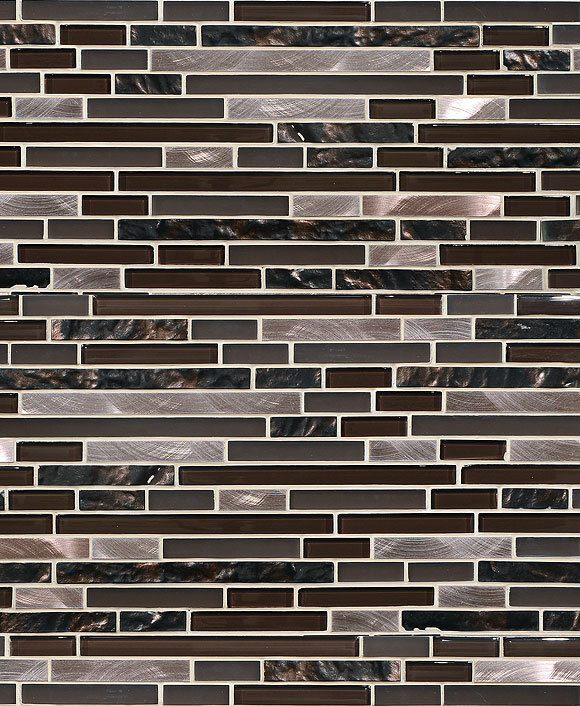 Metal backsplash tile doesn’t fail to impress with its easily maintained surface that needs only to be wiped clean occasionally with a damp rag. Highly polished metal backsplash tile will allow water droplets and other spills to roll right off of its slick surface, making your routine cleaning a breeze. No need to spend unnecessary time to maintaining your kitchen with this option that keeps you moving forward with the rest of your day. 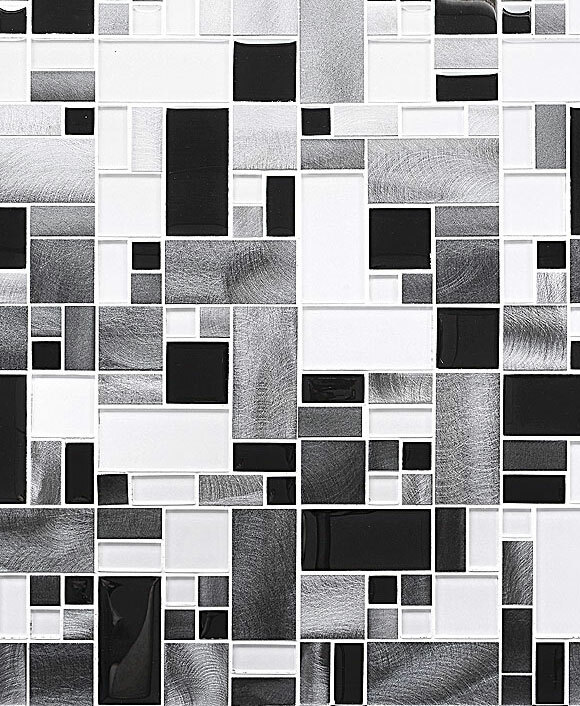 If you’re in the market for a metal backsplash tile, our high-quality mosaic tiles will certainly exceed your expectations for an effortlessly modern and contemporary space. 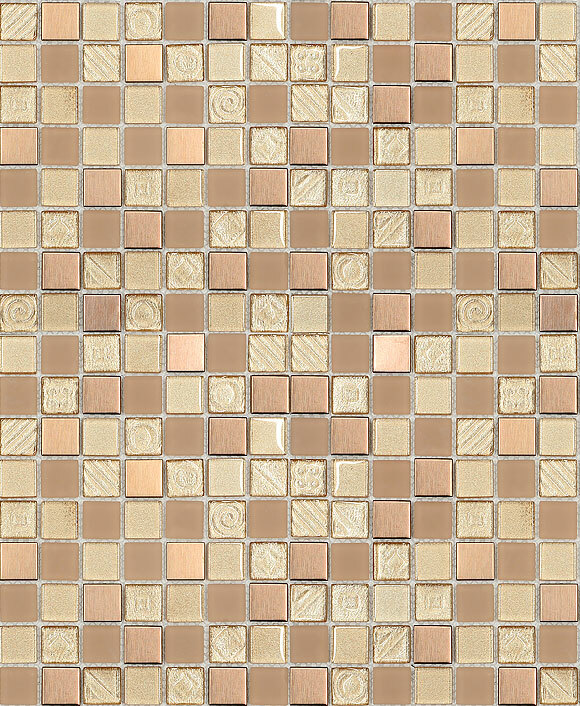 Browse around to see which mosaic tiles catch your eye and bring your design dreams to life.